Remember how, in the first game, John Marston’s tragic adventure of salvation through the old west eventually took him to Mexico? 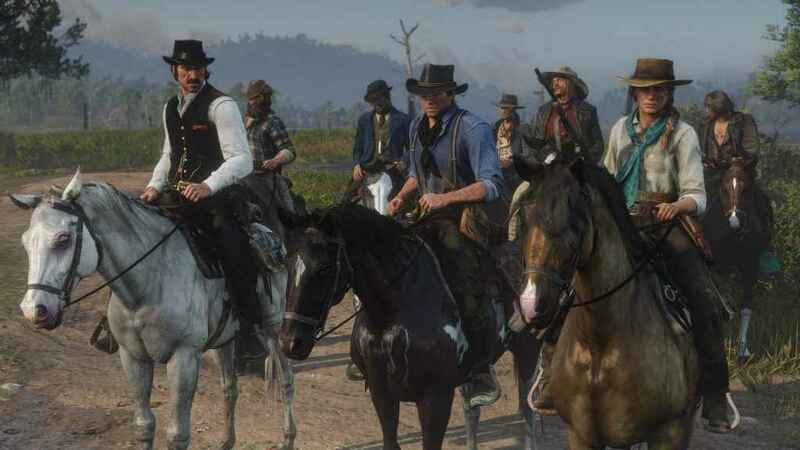 Well, a handful of Red Dead Redemption 2 players have found that it’s possible to visit the same location in Rockstar’s record-breaking sequel. Albeit, they’re not supposed to. Before we go any further, be aware some MAJOR story spoilers lie ahead. For that reason, only those who have already completed the main campaign should venture any further. To get into Mexico, you must have proceeded far enough through the game to have gained access to New Austin: the fictional area of the United States that provided the setting for the 2010 original. Head to the extreme west of New Austin and cross the Sea of Coronado, between the “N” and “A” of the “Coronado” map annotation, until you reach the Mexican shoreline. Now, Rockstar has placed an invisible wall running parallel to the shoreline in an effort to keep curious Red Dead Redemption 2 players out. However, with a bit of persistence, it is possible to break through a crack in the wall and gain entry to this otherwise inaccessible location. Detailed instructions can be found on YouTube. But we’d recommend using ZacCoxTV’s video tutorial, which we’ve embedded below. The region is empty of fauna, enemies, and any real semblance of civilisation. With the exception of a crude railway tunnel (minus the actual tracks) and a rather basic version of El Presidio. Could it be that Rockstar intends to introduce Mexico alongside Red Dead Redemption 2 online as an extension of the already vast map? As a setting for an as yet unannounced DLC expansion? Or is it just a bit of set dressing?